Games have been a childhood pastime for thousands of years. All over the world, historians have discovered evidence of humans playing games, from ancient game boards, fragments of gaming pieces, and even written rules. Your own personal history probably includes memories of games, from tag to kick the can to hopscotch. Games are an integral part of preschoolers’ play. We see children play classic games, such as hide and seek, and we see children create their own games, whose rules might seem nebulous to the outside observer, but are agreed upon and understood by the children. Regardless of the type of game, all games feature agreed upon rules, elements of chance and competition, and are played for personal enjoyment. While some of the best games are self-organized by the children, teachers also lead games in our classrooms. Teacher-led games offer a bit more structure and a bit less wiggle room than child-led games, and both have their place in an early childhood classroom. Recently, I introduced a game called Who’s Missing? to a group of preschoolers. 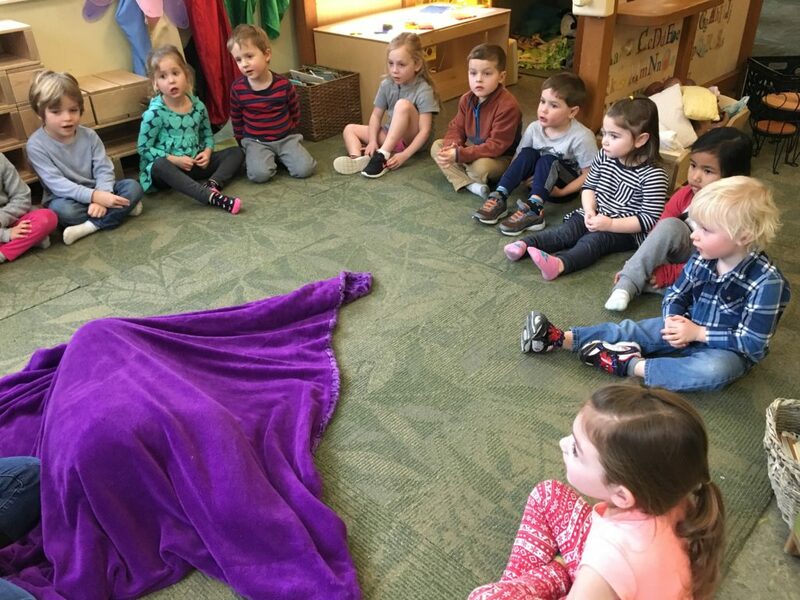 While one child covers his or her eyes, the teacher selects another child to run to another area of the classroom to hide. As the group sings, “Who’s missing, who’s missing, who isn’t here?” the guesser looks around and tries to identify which child is missing. It may sound simple, but this is a major brain workout for all of the young children involved. Let’s start with the guesser. First, the guesser must keep her eyes covered until the group sings, indicating it’s time to look. Then the guesser must recall the children who are in the class and look around to see who isn’t there. Identifying a person or object that is NOT there can be quite abstract and challenging to a young brain. The child must utilize an understanding of object permanence — that an object (or person) that cannot be seen still exists. Now if the child cannot guess who’s missing on her own, the rest of the group steps in with clues to help. Here comes our biggest exercise in self-regulation — give a clue to the guesser without saying the missing child’s name. This is downright impossible for many three year-olds and a true challenge for fours, too. Even some fives struggle with this level of impulse control. As the teacher leading the game, even I sometimes have to bite my tongue not to call out the missing child’s name! Now back to the hider. He has been in his hiding spot this entire time, listening as the guesser struggles to think of who he is. He, too, is exercising impulse control as he resists the urge to call out or run out from his hiding spot, revealing himself before he’s called. Finally, our guesser calls out the name of the hider, and you can feel the relief as the problem is solved and our class is whole again. If you had been in the classroom observing as we played this game last week, you would have been shocked at what a challenge this was for the children. You may have wondered why I pushed on with this game as rule after rule was broken and guesser after guesser struggled. At times even I wondered why I pressed on when we could have played an easier game or called the whole thing off entirely. The answer is because I believe in the kids. I think they need chances to challenge themselves, chances to play within the confines of structured rules, and chances to fail, all within the context of a safe classroom and a supportive group. Even as children struggled to guess the hider after the most obvious of clues, there was not a trace of negativity or judgment amongst the children. There was a goal, and they were all on board to reach it. That reminds me of another thing games have in common: They build community. If you’re an All Seasons family, you know that’s what it’s all about. 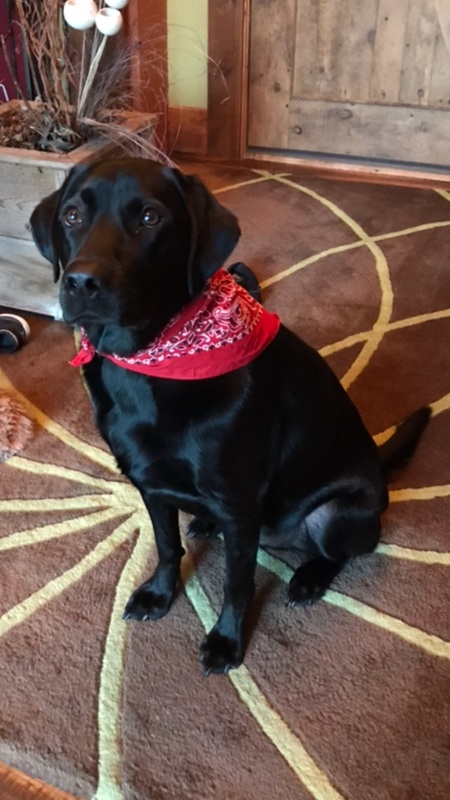 Late last night, I heard our black lab crying from somewhere inside our house. I began opening doors, assuming he was trapped in a room. 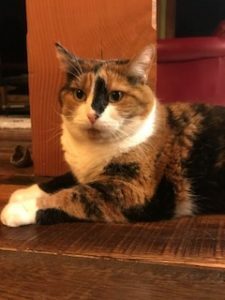 After much searching, it turned out he was sitting at the bottom of the stairs, imprisoned, because guarding the stairs was our round calico, silently forbidding him to pass. All our other pets (we have many) dislike being near this big, clumsy dog whose movements are exaggerated and too rough. Yet their loud, repeated protests do nothing to deter him from cozying up to them. It is the silent but incredibly communicative cat who finds success in “correcting” his behavior. Without a sound, her message to him is always loud and clear. How is this relevant to children? It reminds me of the effectiveness of minimizing our reactions rather than over-explaining, which to me is tempting to the point of being irresistible. I overdo it with my own children all the time, and at the time am certain my many words are sinking deeply into their hearts and minds, filling them with wisdom only their mother can bestow. Sadly, a casual observer could set their watch by the amount of time it takes for their eyes to glaze over as my words float into oblivion. We have these children in our possession for such a short time; we must make use of every teachable moment. It is our duty and right as parents to constantly be teaching. Except it doesn’t work. When you want to correct a behavior, less is more. A simple, “We don’t do that because….it hurts your friend…it makes a big mess…people don’t like that…it hurts my ears…” is enough words. Then move on. The likelihood of them listening plummets with each additional sentence. A graph of their diminishing attention would resemble an Olympic ski slope.